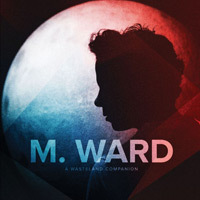 Liner notes: Campy yet heartfelt, “Sweetheart,” a charming departure from M. Ward’s usual brooding folk rock, features actress-singer Zooey Deschanel in a soaring duet blending ’50s teen pop, Beatlesesque guitars, and grand production flourishes à la Phil Spector. Behind the music: Matthew Stephen Ward of Portland, Oregon, has been a busy lad over the last decade, playing with Deschanel as half of She & Him and joining My Morning Jacket’s Jim James and Bright Eyes’ Conor Oberst in Monsters of Folk. Check it out if you like: John Vanderslice, Bon Iver, and other old-school-style troubadours for modern times. “Sweetheart” isn’t online yet, but here’s “Primitive Girl,” another song from A Wasteland Companion.